Winter can be rough on a dog’s paws! Just as winter time is rough on our skin, there are special considerations for our dogs to think about. Our dog’s paws take a beating most of the time but never more so than in the winter. From the cold to salts for ice, Winter can create a recipe for disaster for them. 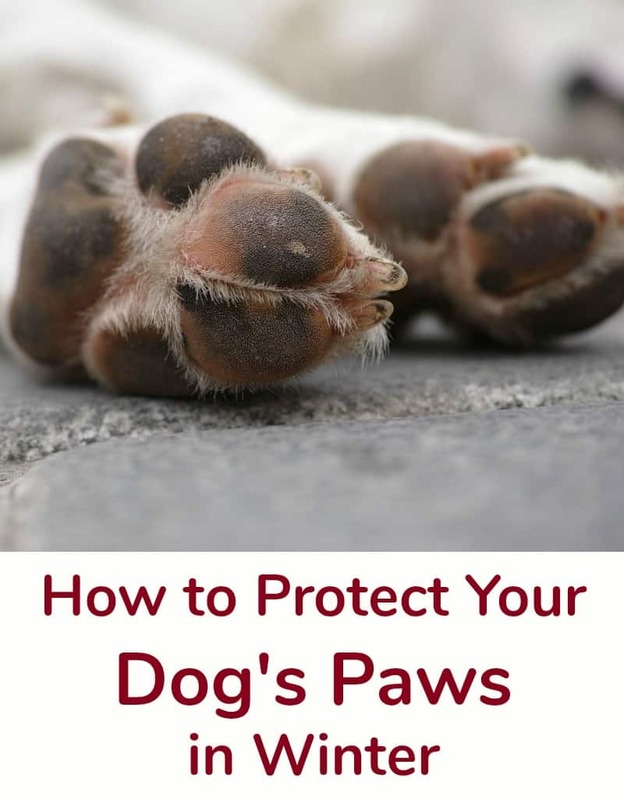 Take a look below for a few simple ways on how to protect your dog’s paws in Winter. You can protect your dog’s paws from the winter cold, ice, and salt on walks with a pair of pet booties. Pet booties are shoes made especially for dogs. They will help keep small dogs feet warm and protected in the harsh winter cold. Apply a paw wax or balm before stepping outside for your dogs walk to help protect paws from snow, ice, and salt. This thin protective layer can help protect paws while preventing drying and cracking. When you come in from your walk, use a warm washcloth to warm the paws and wipe away snow, chemicals, and debris from your dog’s paws. This will help stop any reactions they are having and keep them comfortable throughout the day. One thing that can help keep your dog’s paws comfortable in the winter is to take shorter walks. This is an important way to help smaller dogs not designed for the winter cold. Larger dogs with a double layer of fur are built for the snow and may still demand a longer walk. If so, aim to keep your dog walking through snow piles and out of the roads and off sidewalks that may have salt and other non-pet-friendly ice melts on them. Clipping their nails and the hair in between their toes can also help! Take a look at these Winter Paw Care tips to learn more! That’s a good idea to wipe their paws after a walk! Great tips! Good tips to keep dogs well.